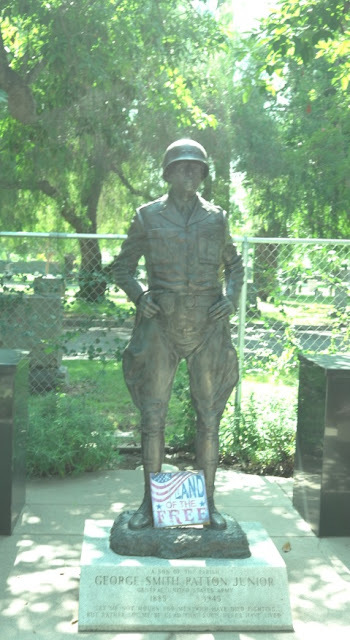 George S. Patton Jr. grew up in Pasadena, California. He was born in 1885 to a wealthy California family. 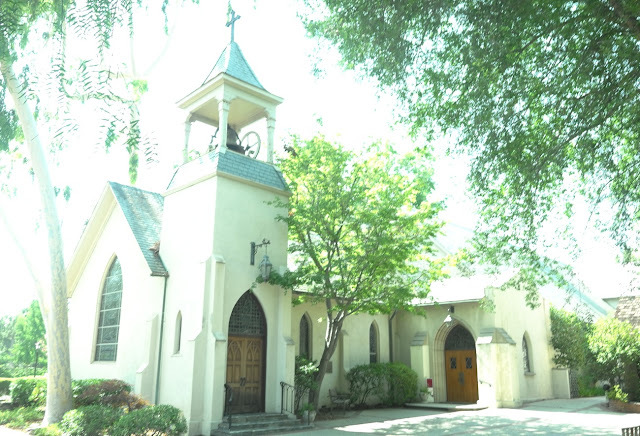 He enjoyed riding horses in the hills around Pasadena. 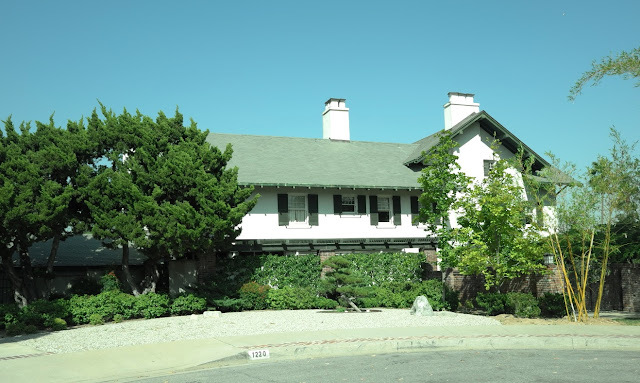 His childhood home at 1220 Patton Court in San Marino today is a private residence that is not open to the public (his sister Anne Wilson Patton, “Nita”, lived there until her death in 1971. Patton’s family had a strong military tradition. His great uncle had served in the Confederate Army in the US Civil and was killed in Pickett’s charge at the battle of Gettysburg. 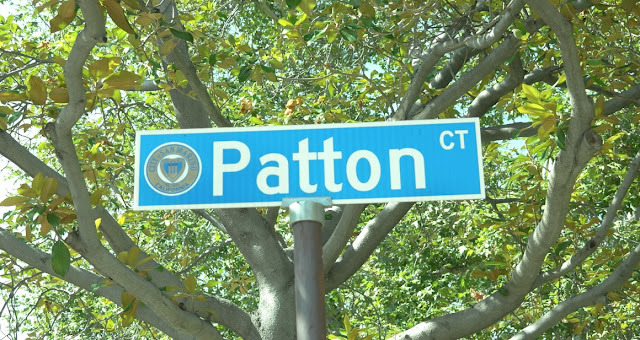 Patton attended West Point where he did well in spite of his dyslexia. Patton also competed as pentathlete at the 1912 Olympics in Stockholm. attractive sister “Nita” (Anne Wilson Patton) was dating the widower Pershing, was detailed to Pershing’s staff. “On November 8, 1942, US troops, under the command of General George “Blood and Guts” Patton, who studied the Koran on the voyage across the Atlantic, landed on three sites on the coast. The United States, in invading Morocco, was attacking a nation with which it was not at war at the time—Vichy France was technically neutral. The point of Operation Torch invasions across North Africa was to strategically outflank Rommel’s Africa Corps and the Italians in Libya who faced the British driving west from Egypt…After the battle of Casablanca, the red carpet was rolled out for the surrendering French officers who had ruled Morocco. After negotiating the terms of surrender with the French, Patton, who was fluent in French, “held up his hand and told them there was one last formality to be completed.” Worried looks were quickly replaced by smiles as champagne bottles were opened and Patton offered a toast to the renewal of France and America’s age-old friendship. 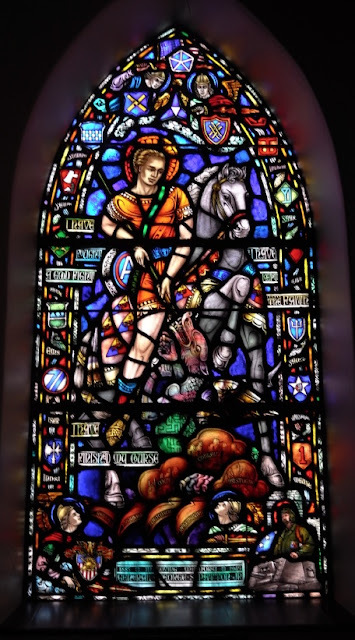 Patton’s accomplishments are celebrated in a stained glass window of an Episcopal church. 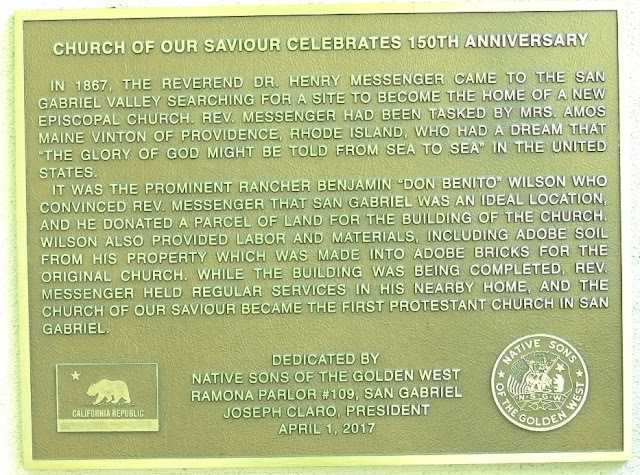 The Church of Our Savior (www.churchofoursaviour.org/) celebrated its 150th anniversary in April of 2017. Patton and his family worshipped in this church over many years. 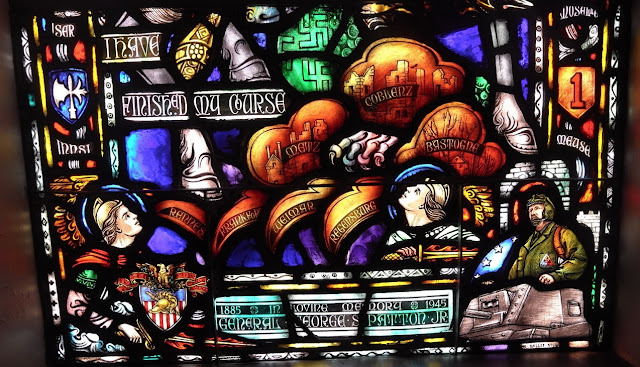 Note the green swastikas which were used in this window — not something one sees everyday in an Episcopal church! 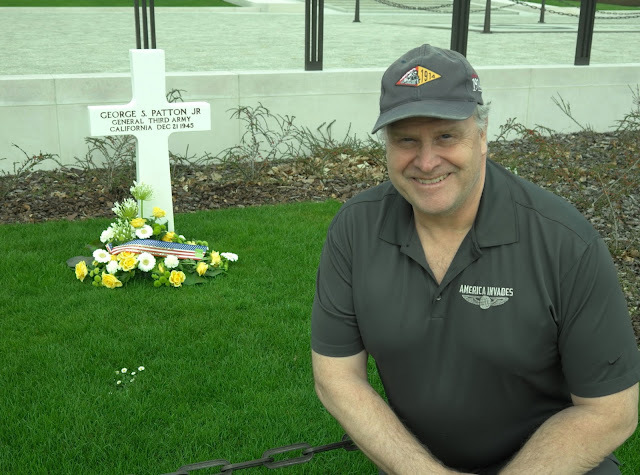 Patton’s grave can be found in the Luxembourg American Memorial cemetery in Hamm Luxembourg (http://americanconservativeinlondon.blogspot.com/2017/03/invading-luxembourg.html).